Tough competition drive manufacturers to work at high speeds — but high-speed measurement mistakes can cause quality issues, waste, rework and costs. A new floor-scale generation helps you run your process at peak performance for consistent, high quality. 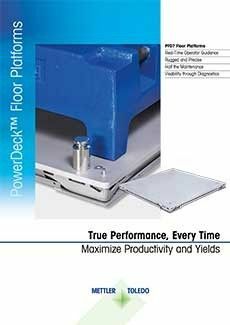 Download the PowerDeck™ floor scale brochure and learn how this new generation will ease and secure your processes for consistent, high-quality products. Boost your productivity with smart applications and accurate weighing results even in rough environments. Completeness checks of incoming heavy-load goods are often error-prone because a large weight range can lead to inaccuracy. 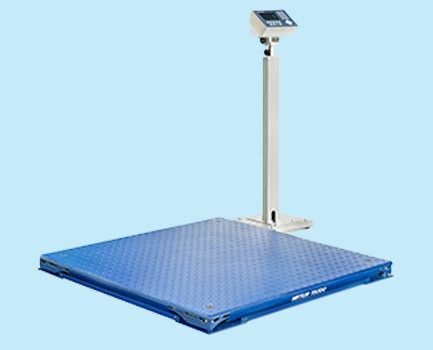 Manufacturers are thus forced to have various floor scales to receive exact results for every range. However, incoming goods control needs to be finished in minutes, regardless of the weight or scale placement. The new accuracy classes of PowerDeck™ floor scales can continually monitor and compensate for measurement deviations to ensure accuracy. 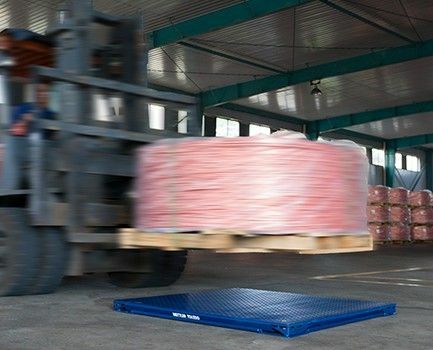 With self-monitoring smart load cells, PowerDeck can weigh with tighter tolerances to reduce product waste at fast speeds and improve profitability - all on a single scale. A 24/7 production process is today's manufacturing standard. Completeness checks and quality controls need to be executed under time pressure, which can result in rough scale handling. Repeated shock and overload negatively affect scale accuracy, leading to wrong results or breakdown. Ensure peak performance 24/7 with PowerDeck™ floor-scale monitoring capabilities, real-time alerts and operator guidance. Your measurements will meet production tolerances much longer and increase service intervals for reduced maintenance costs. Your ability to produce error-free products in the right amounts is the direct result of efficient and correct quality control and completeness checks. Proactive weighing-equipment alerts help operators to be informed about the status of scale performance to ensure high quality. Alerts also result in less downtime and planned maintenance. This leads to a consistently high product quality and accurate shipments. 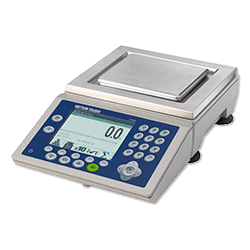 Floor scales are an integral part of your business, but utilizing technology that is over 50 years old means they often are a big source of headaches. Finally an innovative new product is available to solve the most common floor scale problems.